This is a little experiment that I tried out last year. 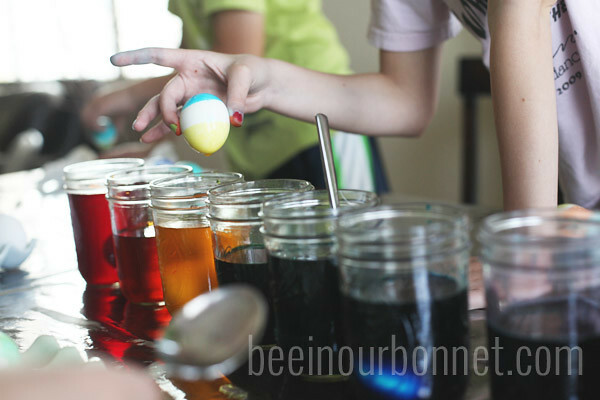 It was an afternoon with many kids and cousins ready to dye hard-boiled eggs, and I found myself without a handy dandy grocery store coloring kit. Then I realized… hello! I have about a bazillion gel food colorings (because I color a lot of frosting). And the color selection I have here is better than ANY egg coloring kit. I filled my mason jars with 3/4 c warm water and 1 1/2 T vinegar. Then I added about 5 drops of my gel colors and stirred until it dissolved. For some colors, that was enough, but for others, I added a bit more. I really couldn’t tell until I put the egg in. 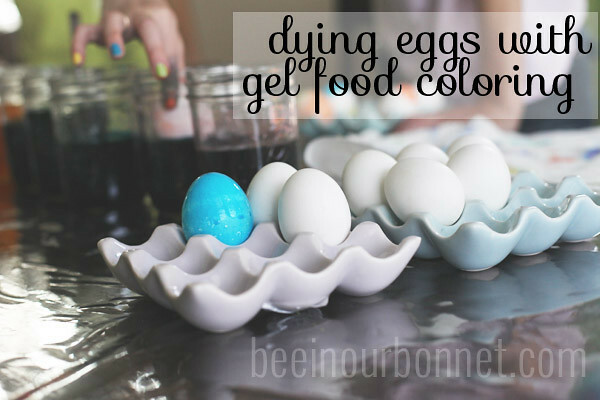 Just like in tinting frosting, the amount you need depends on the color. Of course you can also get the egg darker, but just leaving it in longer. It worked like a charm! I don’t have too many pictures, but I remember the ones I colored with turqoise and peach americolor gels were beautiful! It was great to have so many color options! 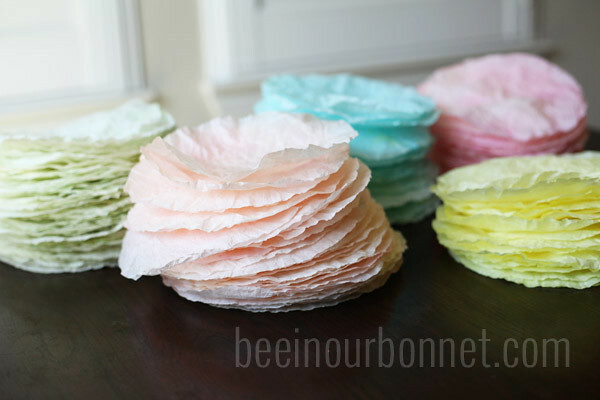 coffee filter flowers. 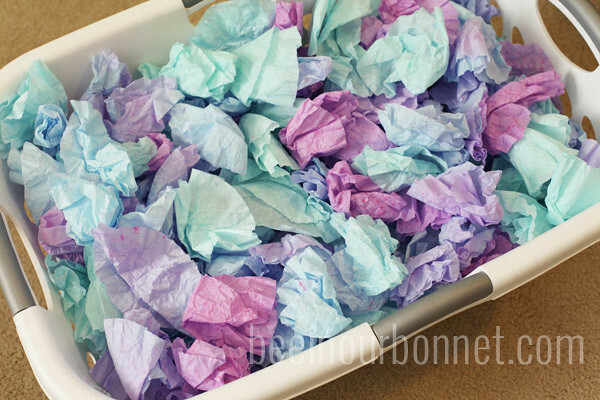 I was decorating for a church Easter party and wanted to make some spring colored paper flowers. By some, I mean 200 flowers (9 coffee filters per flower). I got a bowl full of water, maybe about 4 cups, added a few drops of coloring, then squished lots of them in, as many filters that could fit in the bowl. Then I wrung them out and got as much water out as I could, then laid them flat to dry. After they were dry, I went to town with my stapler. 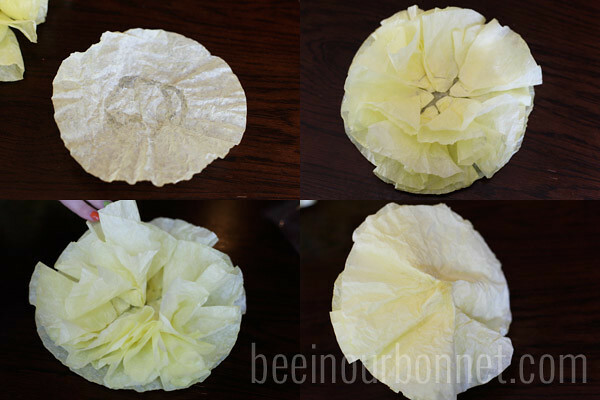 I used Rhonna’s coffee filter flower tutorial but there are several ways to do these and lots of ideas floating around pinterest. Take your pick! I found my biggest obstacle in dying these was finding enough flat surfaces to dry them all on. Then I found a tip from snowy bliss that you can actually put them in the dryer on low. This dried them really fast. However, it did take some time to flatten them all out again. 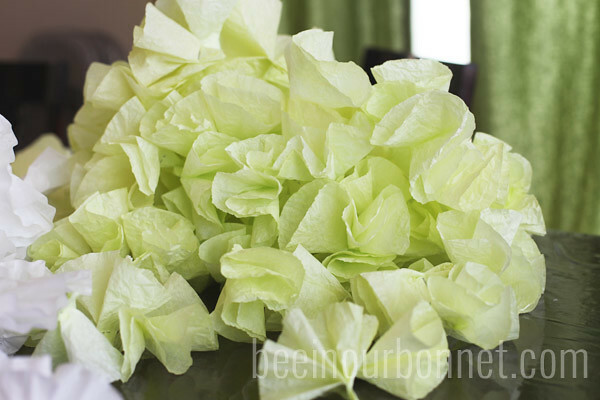 Sometimes you have to pick your battles in the world of paper flowers. I don’t have a picture of the finished flowers or the party (what was I thinking?) but I just wanted to share how beautiful the colors turned out on both of these projects! 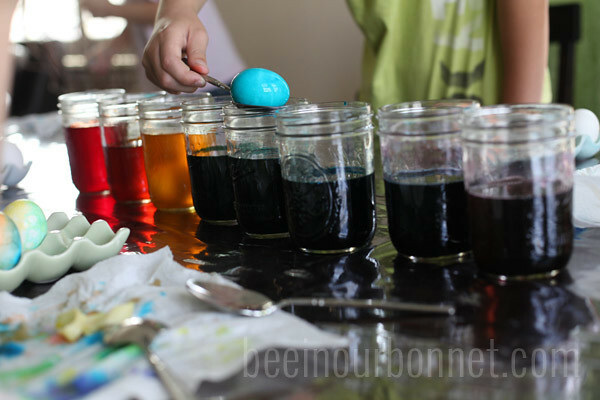 My americolor gel food coloring set really came in handy last Easter. So I’m ready to put it to good use again as I prep for Easter this week. And I’m pretty stoked that I officially have every color Americolor makes now. 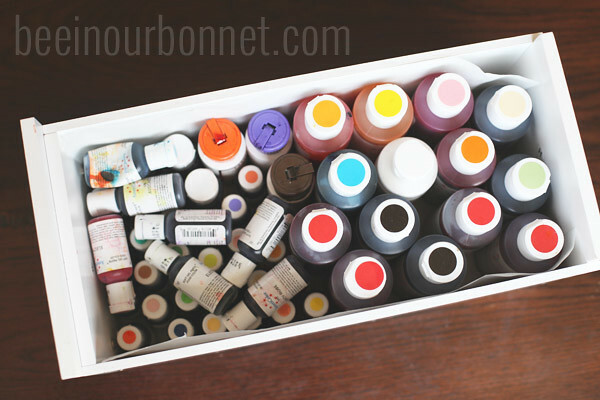 Not to mention all of the color combinations I can come up with from mixing! Eeek! I can’t wait! What else can I dye!?!?! Why have i never thought of using mason jars for dying. You are brilliant! My LLL group dyed play silks with gel food colors. It was a Wilton icing color set, I believe. We got the silk scarves from Dharma Trading and followed an online tutorial. It made the most beautiful play silks and my children have had so much fun playing with them.